Do You Think Phyno Still Have More To Offer The Industry Compared To How He Started? Guess we all know when the sensationally creative Phyno came through strong in the industry with what we see as a renowned and redefined ingenious Igbo rap style. He was quite an interesting and good rapper we all saw as another stronger indigenous rapper in the industry. Phyno proved all his relevance critics wrong by serving us good, and melodious rap singles that even those that couldn’t understand what he was saying would vibe to his tunes. These days he seem to be more quiet than we all could imagine. What could have went wrong with him? Could he be busy with something else? Does he have a different view about his status? Could he be finding it difficult to adapt to the new trends? Could it be that he might be scared of releasing songs that the mass would see as thrash? Maybe he now sees himself as a don that Ill bliss sees himself? Could it be that he wasn’t that good and is just an overhyped rapper? Let’s all discuss about this. It’s just a normal observation tho! So let me throw the question back to you again! 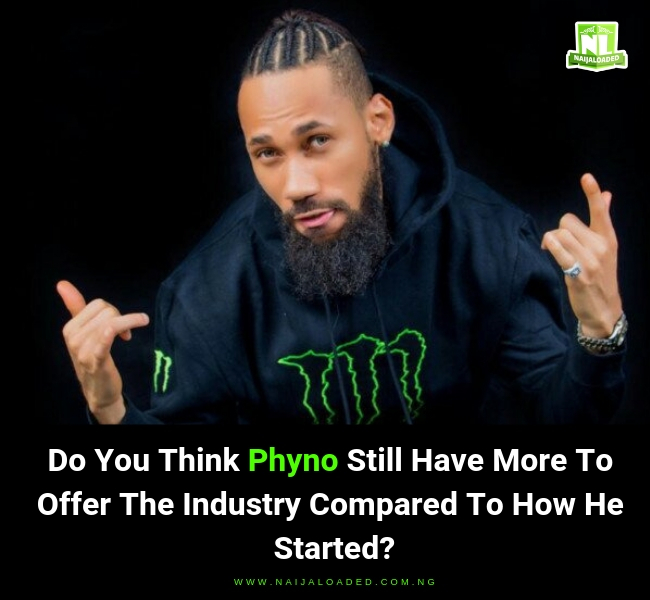 The post Do You Think Phyno Still Have More To Offer The Industry Compared To How He Started? appeared first on Naijaloaded | Nigeria's Most Visited Music & Entertainment Website. Ogun State Has Wizkid, Osun State Has Davido, Anambra State Has Phyno – Your State Has Who?